When I was very young, I took classes at our local art museum. Every weekend, my mom would drive me into the city (which seemed like a really big deal at the time) and I would excitedly play with paints, charcoal, and paper. We even were taught how to make candles one week! But then, one Saturday morning, during a lesson in clay sculpture, a little boy who was sitting near me began to make fun of the rainbow ceramic platypus that I was working on. He went on and on about how silly it was. And even though I was so proud minutes earlier, I started to believe him. That small interaction caused me to doubt myself for years and shy away from making a lot of the things that I wanted to create. If I had only had a book that would encourage me to push those nerves aside and be true to myself. A book just like the one I’m sharing this week, The Dot. I’m taking a quick break from sharing a new quilling tutorial this week to post about a book that I think is essential in the library of anyone who needs a little artistic ego boost. The Dot, written by Peter H. Reynolds, was published in 2003. This lovely book with simple illustrations tells the story of Vashti, a young girl who struggles with finding her creative voice. So Vashti makes a dot on a piece of paper. This basic step of starting sends Vashti on the road to self-confidence and artistic expression that she just didn’t think she had in her. She begins experimenting with different ways to make a dot, even at one point “by not painting a dot”. By the end of the book, Vashti has found her talent and begins sharing it with the world, encouraging others to do the same. The Dot is truly an inspiring book for those, like myself, who’ve doubted their own creative abilities. This week, on September 15th, is International Dot Day. 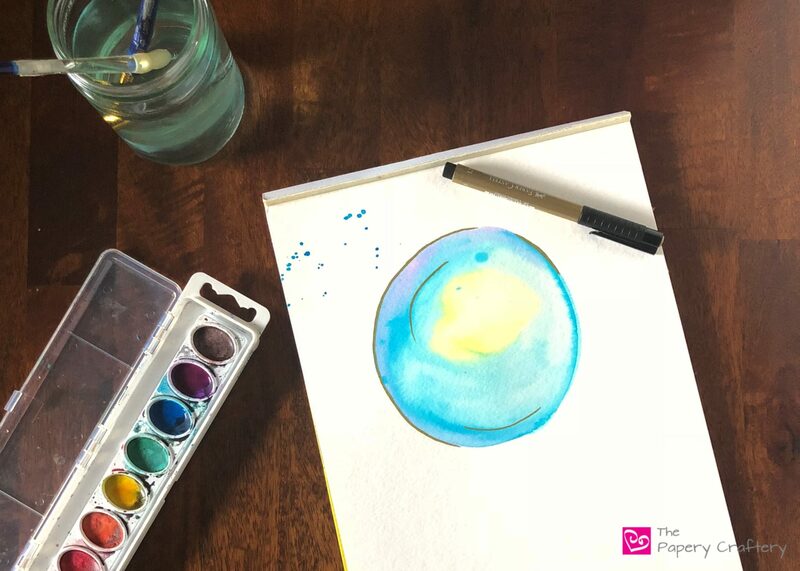 This is a movement where teachers, students, parents, children and everyone else are encouraged to make their own version of a dot and share it with the world. You can learn more about it at TheDotClub.org. I was so excited to share the story of The Dot with my children. They’re not exactly “color inside the line” kind of kids and I’d hate for them to spend years thinking they can’t create just because someone told them that their work wasn’t good enough. Bean was on board right away but soon abandoned her dot to draw a rocket ship. Moose spent a lot more time on his dots. They turned into very detailed Marvel Superheroes. We can all make a mark and they will all be a little unique. Sometimes, it’s just a matter of putting the insecurities aside and getting started. The Dot is a great reminder of that. If you do pick up this book, I hope you enjoy it as much as we did. I’ll be back next post with a new tutorial!